You are welcome to the world of snail trade and export where rearing of snails, selling and exporting is giving people financial freedom. Despite of the global awareness of the importance of snail to man and its future prospects it is still unbelievable to know that a lot of Nigerians are yet to know how to tap into this lucrative business of buying and selling snails locally and export at the international market. The importance of snail is well appreciated in European countries like France, Italy, Britain and West Germany. In Chaina, they simply specialized in breeding of the African giant snails and sell over 7,000 tons of processed snail meat annually. Apart from farming snails, another wealth creating approach is buying and selling of snails to organizations, eateries, hotels, herb sellers, pepper soup joints etc. Since ages, people have been moving goods from one country to another and in line with the international market for snails there is no difference from what it used to be except the establishment of regulatory bodies. Hence in Nigeria before you can export snails to the international market where profit are exorbitantly high certain procedures have to be met and followed. In order to assist a lot of Nigerians to tap into this highly lucrative venture, our organization, THE THY CONSULTING, has written a manual titled “HOW TO EARN MILLIONS OF NAIRA FROM SNAIL TRADE & EXPORT”, to enable them know all the techniques and secrets of snail trade and export. 1. What is snail trade? 2. What is snail export? 10. Export procedures and documentations for air freight cagoes and many more. Only very few Nigerians for now have penetrated the lucrative market and reaping cool big profit without stress. The KNOW-HOW of snail trade and export secrets had been covered up and seriously guided for sometime but now we the present Nigerian revolutionary wealth builders have decided to uncover the secrets and release them without reservation to fellow aspiring Nigerians who so desire and keen in operating the wealth building secrets. 4. To let people know that our country is greatly blessed with resources yet unemployed. 5. To create awareness of such a lucrative venture. 6. To expose the idea of snail trade and export as great income opportunity. 7. To reduce financial crisis and crime in our society. In this mission i.e. empowering you to build our desired wealth with peace of mind; many are sincerely called, but believe me or not, only few are chosen. Why only few? That is the power of destiny working. The mystery is only known to our creator – Almighty God. Our organization has spent huge money, time and efforts to acquire valuable information through attending seminars, conferences, surfing Internet and researches on how to set up Snail Trade & Export business successfully. All necessary, comprehensive and step by step guide on how to embark on the business and make huge financial success from it; are contained in the well researched manual on “HOW TO EARN MILLIONS OF NAIRA FROM SNAIL TRADE & EXPORT”, The price is N7,500 (SevenThousand Five hundred naira only) cost of postage by courier inclusive. The price is a bargain for the valuable information and facts that would aid your success in the “SILENT GOLDMINE” of snail trade and export. 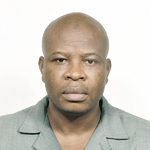 Conclusively, I would advise you to give it a bold trial and you are sure of being on your way to a sound financial independence and freedom you so much desire; if you judiciously apply the principles highlighted in the manual and with good luck and Almighty God’s blessing and guidance success is guaranteed. 1. Visit any branch of GTB Plc and pay the sum of N7,500 (Seven Thousand Five Hundred Naira Only) into THE THY GLOBAL INVESTMENT LIMITED, Account Number 0036974905. 2. Or,visit any branch of ECOBANK NIGERIA PLC and pay the sum of N7,500 (Seven Thousand Five Hundred Naira only) into THE THY GLOBAL INVESTMENT LIMITED, Account Number 1802000495. 3. Alternatively, visit any branch of FIRST BANK OF NIGERIA PLC and pay the sum of N7,500 (Seven Thousand Five Hundred Naira only) into THE THY CONSULTING Account Number 2004862363 and notify us by e-mail. vi. Date of Dispatch and mail Reg. No. The manual with other bonuses (if you qualify) would then be dispatched to you immediately your payment is received. 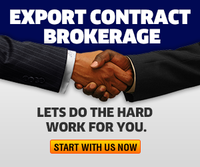 (2) Write up on “How to Get Contacts of very serious foreign Buyers who needed Nigerian Agricultural produces urgently”. 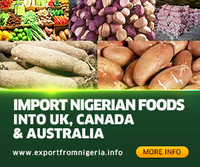 (3) Write up on “How To Cash – in on Export Opportunities in Agro-Allied Products”. Dear entrepreneur friend, it is my sincere hope that you would not let this golden opportunity pass you by. Poverty won’t be your portion by the grace of Almighty God. (Amen).